Pewter Wrap & Tuck's are our best-selling bracelet among men and can be worn from the gym to the boardroom. 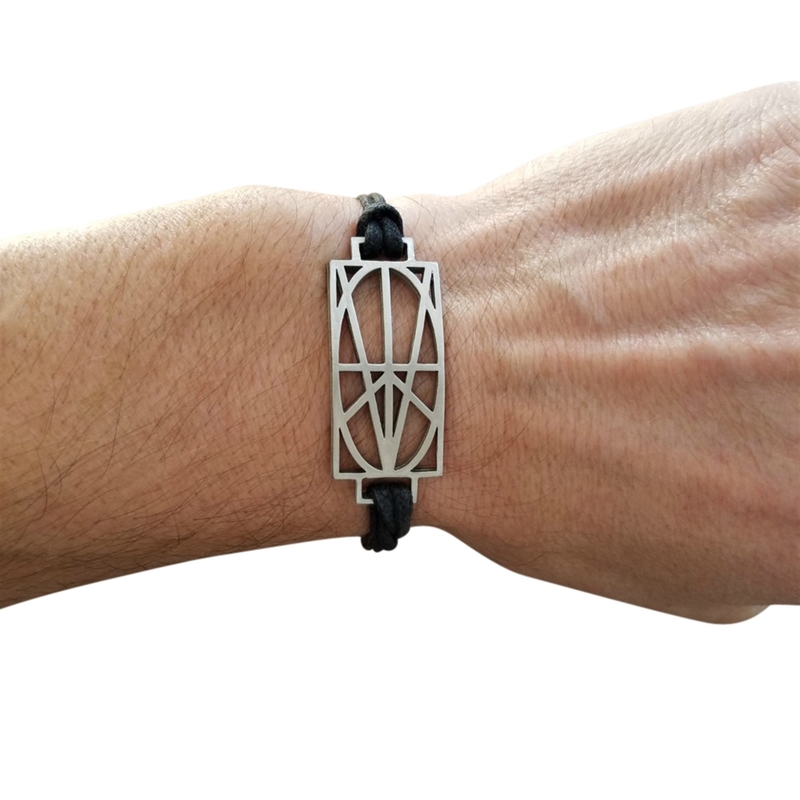 This is a one size fits all adjustable bracelet comprised of pewter with a stylish & durable cotton cord. 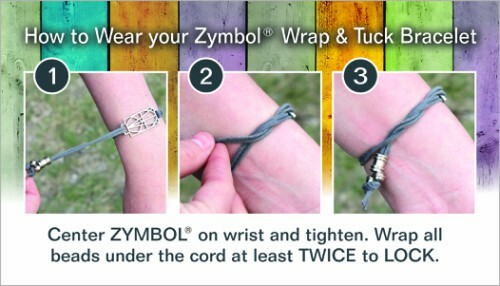 Plus, it's the easiest bracelet you'll ever put on. Follow the 3 steps below. Wrap cord more or less depending on your wrist size. The Zymbol on this bracelet measures 1-3/8" x 5/8" and is cast in the USA. Each Zymbol is accompanied by a gift card that allows you to TRACE out a personalized meaning. Wear or gift Zymbol containing important names, dates, phrases, goals, intentions, positive affirmations or as reminder of things you're thankful for. Center Zymbol on wrist and tighten. Wrap all beads under the cord at least TWICE to LOCK. Pewter Zymbol will not tarnish.